Forged from the raw material of the pre-Columbian Indigenous Peoples, added to the substrate provided by the Iberian Conquerors and the formidable contributions of the most diverse peoples of the world, the civilization that exists in our continent is a huge source of material wealth , natural, cultural and spiritual. However, although Latin American nations have, at some point in their stories, won their political independence in front of colonial powers, founding their own nation states, the truth is that total independence is in reality a foggy dream, to the extent that all processes of political decolonization were followed by even more radical processes of economic colonization (Neo-Colonialism) and later of mental colonization (third colonialism), expanding our servitude and dependence. The result was years and still more years of looting our riches and destruction of our monumental spiritual heritage. Many, such as Juan Perón, Velasco Alvarado, Getúlio Vargas, Hugo Chavez, among others, tried to break with this logic, but were sequentially overthrown by their own attempt to try to negotiate with capitalism, with the parasite class that they, saw as possible allies: an honest mistake. As the political sovereignty of the nation-States is clearly insufficient, the fact is that the true and complete liberation of a particular Latin American country cannot stop without the freedom of others. 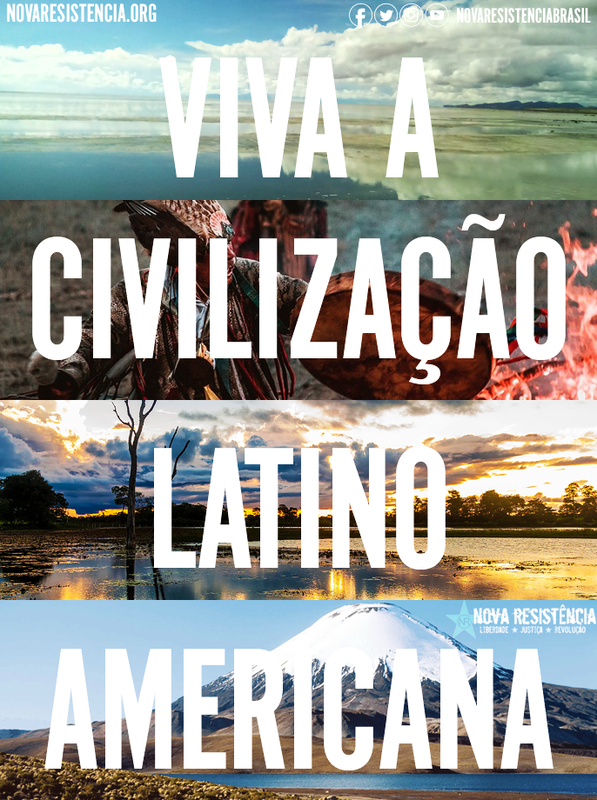 In this way, the history of Brazil’s historical-imperative is a point of light, efficient to guide our Latin American brothers on their own historical paths – various in their means, but converging in an end: the liberation of our continent and the full realization of our historical potential. The work of Simón Bolivar, the liberator, still needs to be completed.